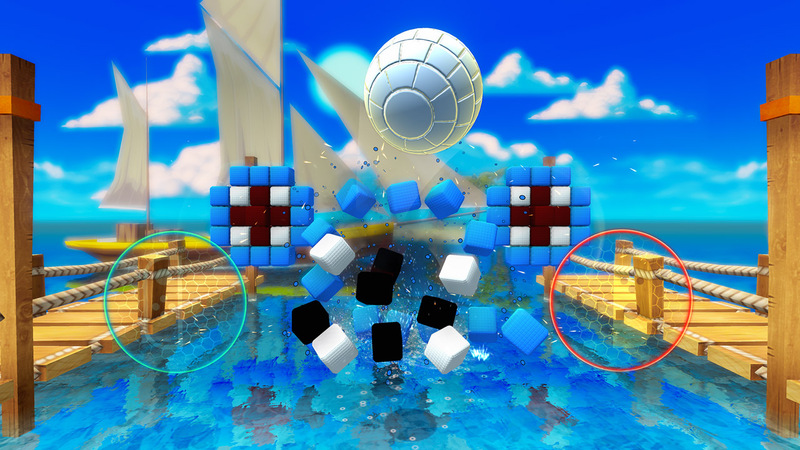 Let’s not beat around the bush – Boom Ball: Boost Edition is Arkanoid in 3D. How much can you do with 3D Arkanoid? It’s nicely presented. 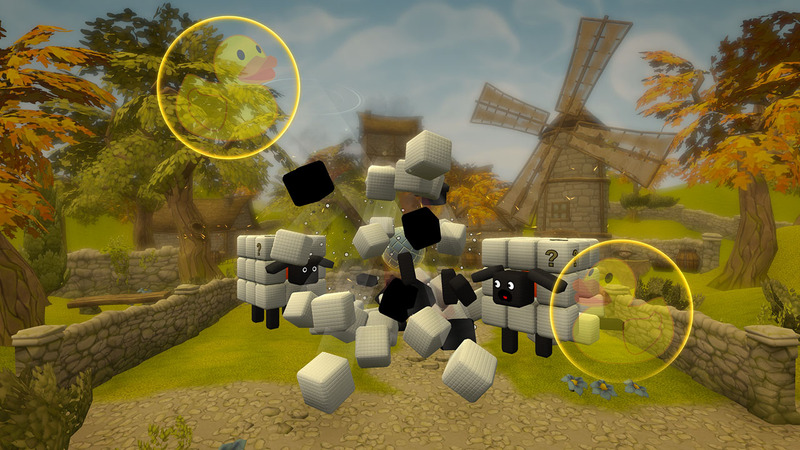 There are sixty levels, grouped into themed sets like a harbour, penguins and farms. The graphics recall PopCap’s classics – cute, colourful and tactile. The music reminds me of being stuck in a lift. There are time goals and medals to unlock. It’s Arkanoid in 3D! You can play using touch or use the Joy-Cons like a set of table tennis paddles, rebounding balls with motion control. Playing using touch is functional but feels lifeless and flat. I was flicking and swiping, watching blocks disappear, but I wasn’t really having fun. Things spring into life with Joy-Con control. The physical movement makes you feel more connected to the experience. We wish you had to jump around a bit, however. A simple flick of the wrist will move one of your two paddles across the screen. We miss the days of sweaty Kinect workouts. So, would I recommend this game? Well, what if I was to say that playing Boom Ball: Boost Edition ultimately lead to an unmatched gaming experience. Allow me to explain. My wife isn’t into gaming. She didn’t grow up with a computer or with a console, and she struggles to use dual analogues. Gaming can be quite a solitary thing to do, so I’ve attempted to introduce couch multiplayer games into our lives. Some attempts have been successful – Puyo Puyo Tetris has taken up tens of hours of our time together. Others have been a disaster. Worms’ movement was too esoteric. Overcooked was too stressful. Snipperclips almost ended in divorce. Boom Ball: Boost Edition reminded me about the best bits of gaming: sharing a puzzle with a person you love. I don’t know how you’d score that. So I’m not going to. All I’ll say, is that if this review makes you think of your own current relationship, Boom Ball: Boost Edition is well worth a go. Tags: Boom Ball, Boom Ball: Boost Edition!